Working in the diamond industry provides us the opportunity to scour the web to keep up with the global jewelry trends and hear provoking insights from industry thought leaders. Q. What is the inspiration behind some of the jewelry you designed? What are some of your favorite pieces and why? A. “I started my career in jewelry way back in 2002 when I pursued formal training in jewelry manufacturing, jewelry designing, gemology, and diamond grading. At that time, I also began my quest to become an accredited jewelry professional (AJP) from the Gemology Institute of America (GIA), the Gemological Institute of India (GII), and Shreemati Nathibai Damodar Thackersey (SNDT) in India. 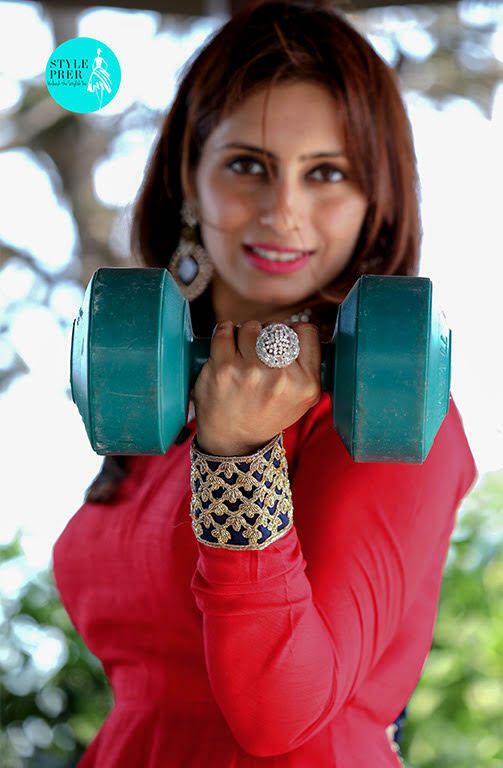 In India, jewelry plays an integral part in our lifestyle. It’s considered more of a necessity than luxury no matter what size of jewelry a woman wears. 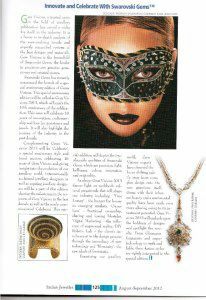 I have enjoyed designing and manufacturing (and have designed and manufactured) almost every possible type of jewelry for clients from art nouveau, art deco, to Edwardian style. I have even redesigned some of the heritage jewelry that was given to my clients by their ancestors. Personally, I like simple, clean motifs – especially deco and antique jewelry. Somehow heritage, estate, and period jewelry have always drawn my attention and I would love wearing jewelry that was centuries old. Q. If you had to mention one celebrity that’s always wearing the right jewelry and inspires you in terms of style, who would it be and why? This can be a designer too. A. “In all honesty, I may like what the celebrities wear but I look up to the jewelry and style of Maharani Gayatri Devi in India. Jewels worn by Nizam, Maharaja of Patiala inspire me. In my opinion, one should look up to the Maharajas and Maharanis of India and admire the elegance with which they carried their jewelry. Q. What do you think about memorial diamonds and cremation diamonds? Q. What can readers expect to find on the StylePrer blog? A. “StylePrer is an eclectic mix of jewelry from the west and east. In addition, it brings out the various elements of handcrafted jewelry in India. India has 29 states and almost every state has its own specialty in jewelry. 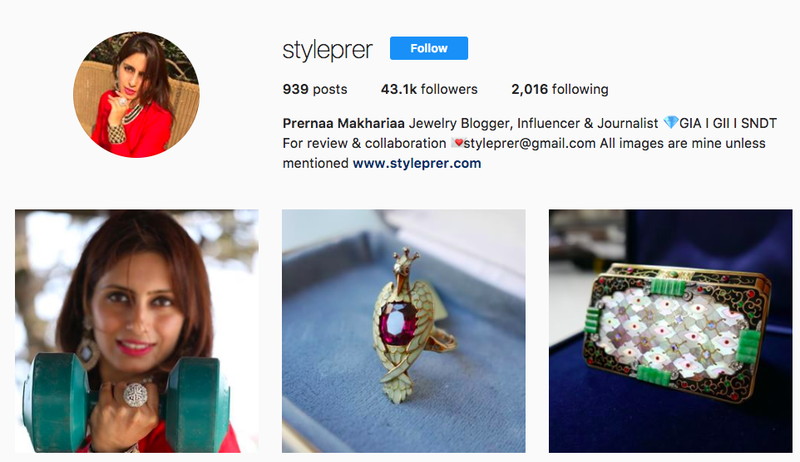 StylePrer is always scouting to feature and write on innovative designs and creations, especially budding jewelry designers.